161-hp 2.0L GDI 4-cylinder engine. 7-inch color touchscreen display audio. Apple CarPlay® and Android Auto™. Blue Link® Connected Car System. Proximity Key with push button start. Dual automatic temperature control w/CleanAir Ionizer and auto defogger. Hands-free smart liftgate with auto open. Forward Collision-Avoidance Assist (FCA) with Pedestrian Detection. Smart Cruise Control with Stop & Go. Open it up for a whole new feeling. Lighting the way in style. LED headlights and Daytime Running Lights. Safe and sure looks stylish, too, with Tucson’s brilliant new LED headlights and LED Daytime Running Lights. Each works with the other to bring an angled shape and stylish detail to the forefront. 19-inch alloy wheels Tucson’s rounded-square wheel arch is the perfect frame for its available 19-inch alloy wheels. From sophisticated to sporty, these wheels add style that goes the distance. Also available, 18-inch alloy wheels. Searching for wires and plugging in chargers is a hassle. Not anymore. Just place your Qi-compatible mobile phone on the pad and arrive fully recharged. It always helps to see the big picture. Available 8-inch multimedia navigation system and rearview camera with parking guidelines. This available system allows easy access to maps, messages and entertainment while keeping your focus on driving. Its rearview camera guides you when parking by showing what’s behind and around you. Standard 60/40 split fold-down rear seatback. Stretch out in the roominess of Tucson or load up for a long trip. A standard 60/40 split fold-down rear seatback accommodates. And with a whopping 31.0 cu. ft. of interior space, Tucson has 6-8 cu. ft. more cargo capacity than some mid-luxury SUVs. More power to the 2nd row. Available 2nd-row USB power outlet. An available USB power outlet in the second row means everyone can charge on the way. Apple CarPlay® and Android Auto™*. Stay connected with your favorite apps on Tucson’s touchscreen instead of your phone. Apple CarPlay and Android Auto make your drive more entertaining, and safer, too. Awards and accolades show how we make driving safer, more convenient and ultimately more rewarding. 2018 IIHS Top Safety Pick when equipped with optional Automatic Emergency Braking & HID headlights. At Haselwood Hyundai, where the smart shoppers buy. Proudly serving drivers from Gig Harbor, Bainbridge Island, Port Orchard and beyond. For more information on the 2019 Hyundai Tucson or to schedule a test drive, contact our sales staff or visit us in Bremerton today. 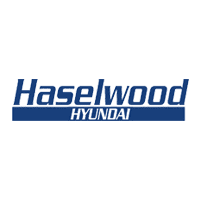 2019 Hyundai Tucson Hyundai Tucson 2019 Explore the 2019 Hyundai Tucson at Haselwood Hyundai in Bremerton, WA. With a redesign that's bold and dynamic with the latest tech and safety advancements.